Not all fats and oils are created equal. While there are a lot out there Dr. Gundry doesn’t recommend, good quality fats are essential for your health — and they can enhance the flavor profile of your favorite dishes. Olive oil is Dr. Gundry’s favorite oil to cook with because of its longevity benefits. But there are so many other oils you can use for cooking and baking. 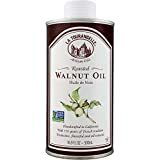 And when minding your lectin intake, you can use any of the following oils: coconut, avocado, walnut, perilla, MCT, and more. Each oil has its own unique benefit. Try experimenting with them all! The Nutiva Organic Coconut Oil with Butter Flavor from non-GMO, Steam Refined, Sustainably Farmed Coconuts, 14-ounce. A Dr. Gundry favorite. The Nutiva USDA Certified Organic, non-GMO, Cold-Filtered, Unrefined, Fair Trade Ecuadorian Red Palm Oil, 15-ounce (Pack of 2). A Dr. Gundry favorite. The Kadoya Brand 100% Pure Hot Sesame Oil (5.5 OZ). A Dr. Gundry favorite. The Korean Traditional 100% Perilla Oil 12oz (들기름). A Dr. Gundry favorite. The Baja Precious - Avocado Oil, 750ml (25.3 Fl Oz). A Dr. Gundry favorite. 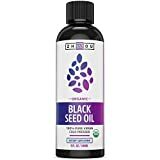 The USDA Certified Organic Black Seed Oil - 100% Virgin, Cold Pressed Source of Omega 3 6 9 - Nigella Sativa Black Cumin - Super Antioxidant for Immune Support, Joints, Digestion, Hair & Skin, 8oz. A Dr. Gundry favorite. The Bragg Organic Raw Apple Cider Vinegar, 16 Ounce (1 pack). A Dr. Gundry favorite. 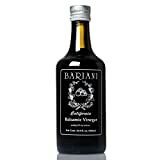 The Bariani California Balsamic Vinegar. A Dr. Gundry favorite. The O OLIVE OIL & VINEGAR California White Balsamic Vinegar, 6.76 Fluid Ounce. A Dr. Gundry favorite. The O OLIVE OIL & VINEGAR Sherry Wine Vinegar, 6.76 Fluid Ounce. A Dr. Gundry favorite. The Ariston Traditional Modena Balsamic Premium Vinegar Aged 250ml Product of Italy Sweet Taste. A Dr. Gundry favorite. The PACK OF 4 - California Olive Ranch Extra Virgin Olive Oil, 25.4 fl oz. A Dr. Gundry favorite. The Viva Naturals Organic Extra Virgin Coconut Oil, 16 Ounce (4 Pack). A Dr. Gundry favorite. La Tourangelle Infused Trio of Oils - Infused Herbs de Provence Oil, Infused Garlic Oil, Infused Basil Oil Gift Set - 3 x 8.45 Fl. Oz. 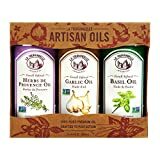 The La Tourangelle Infused Trio of Oils - Infused Herbs de Provence Oil, Infused Garlic Oil, Infused Basil Oil Gift Set - 3 x 8.45 Fl. Oz.. A Dr. Gundry favorite. 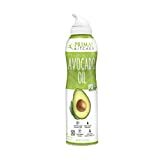 The Primal Kitchen - Avocado Oil Spray, 4.7 oz (6 Count). A Dr. Gundry favorite. The O OLIVE OIL & VINEGAR Fresh Basil Olive Oil, 8.45 Fluid Ounce (Pack of 6). A Dr. Gundry favorite. The O Olive Oil, Meyer Lemon 8.45 fluid ounce (pack of 3). A Dr. Gundry favorite. 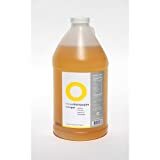 The O Olive Oil - Citrus Champagne Wine Vinegar - 0.5 gal. A Dr. Gundry favorite. 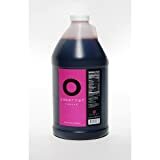 The O Olive Oil - Cabernet Wine Vinegar - 0.5 gal. A Dr. Gundry favorite. 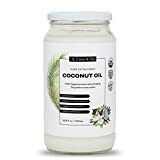 The Viva Naturals Organic Extra Virgin Coconut Oil, 16 Ounce. A Dr. Gundry favorite. 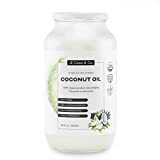 The Viva Naturals Organic Extra Virgin Coconut Oil, 16 Ounce (3 Pack). A Dr. Gundry favorite. 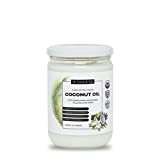 The Organic Coconut Oil - Unrefined Cold Pressed Coconut Oil for Hair, Skin, and Cooking (1500ml). A Dr. Gundry favorite. The Organic Coconut Oil - Unrefined Cold Pressed Coconut Oil for Hair, Skin, and Cooking (1000ml). A Dr. Gundry favorite. 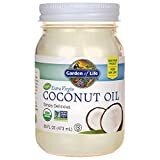 The Garden of Life Organic Extra Virgin Coconut Oil - Unrefined Cold Pressed Coconut Oil for Hair, Skin and Cooking, 14 Ounce. A Dr. Gundry favorite. 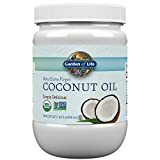 The Garden of Life Organic Extra Virgin Coconut Oil - Unrefined Cold Pressed Coconut Oil for Hair, Skin and Cooking, 29 Ounce. A Dr. Gundry favorite. 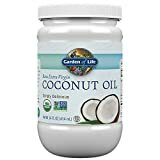 The Garden of Life Organic Extra Virgin Coconut Oil - Unrefined Cold Pressed Coconut Oil for Hair, Skin and Cooking, 16 Ounce. A Dr. Gundry favorite. The Bragg Organic Apple Cider Vinegar 32 Ounce. A Dr. Gundry favorite. The Bragg, Organic Apple Cider Vinegar, Raw, Unfiltered, with The Mother, 128 Ounce. A Dr. Gundry favorite. The Bragg Raw Organic Apple Cider Vinegar Case of 4/1 Gallon Jugs. A Dr. Gundry favorite. The Antica Italia Aged Italian Balsamic Vinegar of Modena IGP 16.9 Ounce (500ml). A Dr. Gundry favorite. The Colavita Balsamic Vinegar or Modena -- 17 fl oz - 2 pc. A Dr. Gundry favorite. The Mantova Organic Flavored Balsamic Vinegar Condiment, Pear, Raspberry, Fig and Pomegranate Vinegar 4-Pack Variety Set, 8.5 fl oz. Per Bottle Great Gift Set. A Dr. Gundry favorite. The Grass-Fed Ghee Oil by 4th & Heart, 16oz, Non-GMO Verified Hybrid Oil, Balanced Omega Fatty Acids, Paleo Approved, Keto-Friendly. A Dr. Gundry favorite.